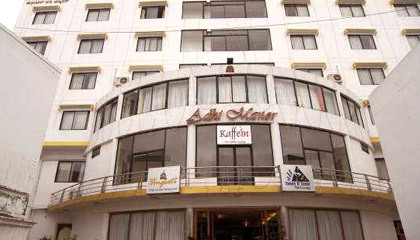 Hotel Adhi Manor is sited next to the Central Bus Stand. Hotel Adhi Manor is a newly-built hotel in Mysore. Besides being centrally located, the hotel boasts of contemporary architecture and great interiors marked by its sophisticated ambience. 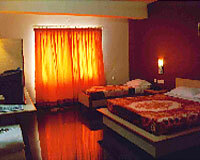 It provides all the facilities of a three star hotel at nominal rates. 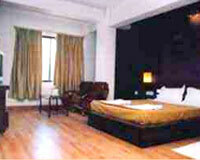 Moreover, the hotel also provides business facilities to keep the corporate clientele happy. 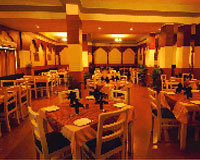 With all such features, Hotel Adhi Manor is a great place to enjoy luxury at cheap rates in Mysore. 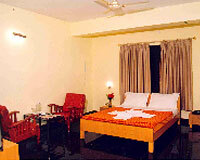 The hotel offers well-appointed and furnished 70 Rooms. Each room features all the modern amenities to ensure a hassle-free stay. Angeeti: A multi-cusine restaurant offering scrumptious veg and non-veg dishes. Aangan: A restaurant that specializes in vegetarian food from different cuisines. Tunes 'N' Tonic: A bar & lounge that offers just perfect space for relaxation.